Beauty brand Essie just launched a nail polish collection for Mercury Retrograde in gorgeous holographic blues! In partnership with The AstroTwins, the sweet varnishes have awesome shade names: Keep Calm and Mercury On! Mercury Out Of Shadow September 2nd 2018. Communication planet Mercury turns retrograde July 26-August 19, which can scramble interpersonal affairs, technology and travel. Back up your digital devices & data, People can be touchy and tense, and with Mercury reversing through dramatic Leo, it will be hard to #keepcalm. Choose your battles and take some deep breaths. And if you must tell ’em to “talk to the hand,” at least you can do it with style! 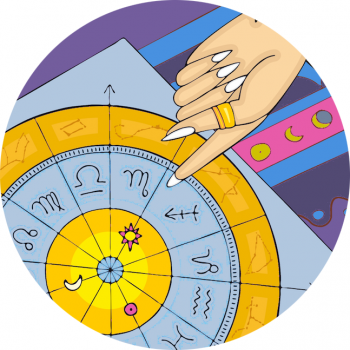 The AstroTwins share their advice for this Retrograde – talk to the hand!! Loves it. The collection is coming at you live on Ulta.com July 18th, available online and in the US only.